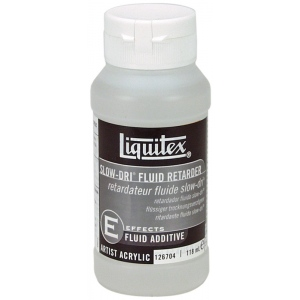 Fluid consistency that thins all acrylic paint and mediums. * Increases open working time of acrylic paint. * Reduces paint skinning-over on palette. * Increases blending time making blending of colors and detail brushwork easier. 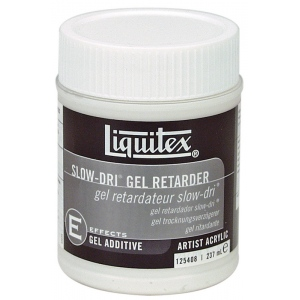 * Mix with acrylic paints and mediums to retard drying time up to 50%. * Fluid consistency made to be used with soft body colors and mediums. * May also be used with heavy body colors and gel mediums however thickness of paints and mediums will be reduced to a more fluid consistency. * Gel retarder is similar to fluid retarder except in heavy body gel consistency. * Designed to be used with heavy body colors mediums. * May also be used with soft body colors and mediums however thickness of acrylic paints or mediums will be increased.